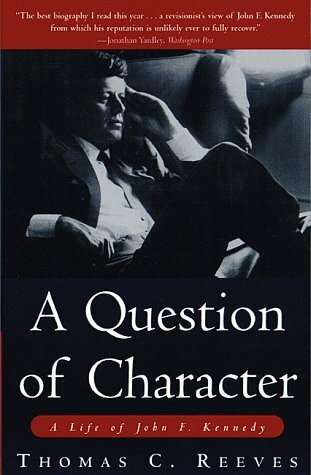 “A Question of Character: A Life of John F. Kennedy” by Thomas C. Reeves was published in 1991. Reeves is a former professor of history at the University of Wisconsin and the author of nearly a dozen books. He is probably best-known for his 1975 biography of Chester Arthur and his 1982 biography of Joe McCarthy. When first published, Reeves’s book was one of few vigorously revelatory studies of John Kennedy’s character. To label this book a “character study,” however, would be misleading. It is a comprehensive – but not historically exhaustive – biography of JFK infused with an unmistakable tabloidesque quality. 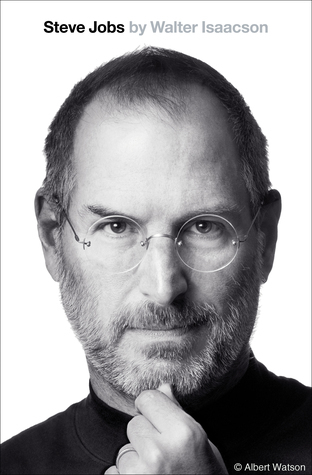 This book’s 421 pages of text are fast-paced and often riveting. Reeves’s primary thesis is that a president’s character and fitness for office are inextricably linked and much (if not substantially all) of the book is devoted to tearing down the Camelot facade and, implicitly, Kennedy’s legacy. But while the author successfully proves JFK’s countless moral failings he is far less successful convincing the reader that a president’s character actually matters. The man who emerges from this book is a depraved and despicable villain who masquerades as a charming, courageous, intellectual man-of-the-people. But JFK himself is not the author’s only target: his parents, many of his siblings and several of his colleagues are also indicted for creating an environment in which Kennedy and his worst instincts were allowed to thrive. But the book’s greatest flaw is not found in its themes, evidence or conclusions- it is the delivery system itself. “A Question of Character” seems to be a tabloid hit-piece rather than a deliberate, scholarly study of a person’s character. It often feels carelessly breezy and biased – and not the handiwork of the sober-minded historian who authored the thoughtful biography of Chester A. Arthur I read three years ago. If Arthur Schlesinger’s exceedingly sympathetic “A Thousand Days” can be criticized for overlooking Kennedy’s numerous flaws, this study of John F. Kennedy can be faulted for always seeing the glass as half-empty. While it seems to promise a critical but fair reexamination of Kennedy’s image, there is little balance to be found and much of the narrative relies on speculation and hearsay. But Reeves’s study is not entirely devoid of merit. The author provides a more coherent review of the Bay of Pigs operation than in many other JFK biographies and one of the clearest explanations of the tensions in Laos and Vietnam that I can remember. He also offers interesting, and surprisingly lengthy, discussions of Kennedy relating to civil rights and the Cuban Missile Crisis. Overall, Thomas Reeves’s “A Question of Character” proves a lively and engaging, but decidedly partisan, survey of Kennedy’s life with a principal focus on his character and, secondarily, on his politics. There is little in this book for scholars or historians who are already well-versed in the defects of the Camelot legend. But general readers interested in broad coverage of JFK’s life are likely to find the book’s tone too imbalanced, too petty and lacking in scholastic gravitas. This reminds me of Dr. Smith’s bio on Bush, except Dr. Reeves had the benefit of some distance.